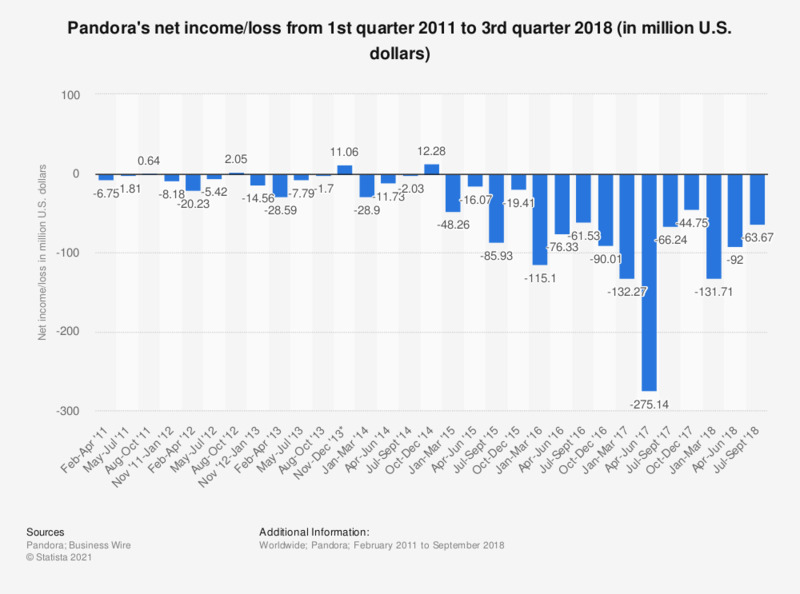 The statistic above shows the growth of Pandora's quarterly income/loss from the first quarter of fiscal year 2011 to the third quarter of fiscal year 2018. In the last measured quarter, Pandora reported a net loss of over 63 million U.S. dollars. Here you can find information on Pandora's annual income/loss. Figures other than for Q3 2017 and Q3 2018 come from Pandora's earlier releases.